Looking for a home with original character? Well look no further! 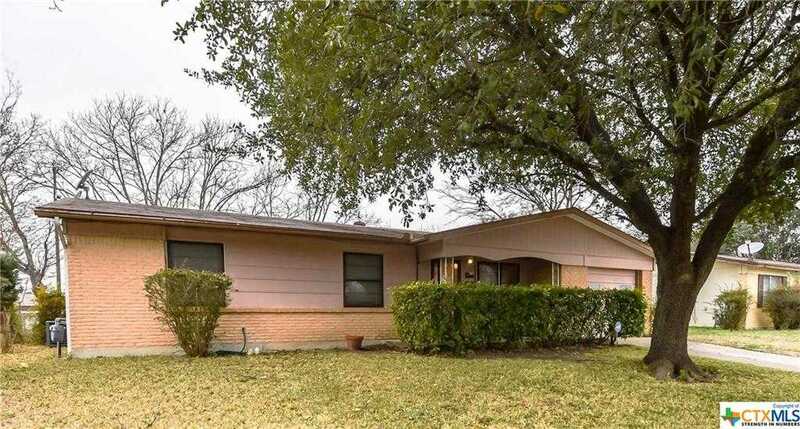 This 3 bed, 2 bath home is nestled in the heart of Killeen and located minutes from shopping centers and restaurants. Upon entry of the home, the living room boast beautiful laminate wood flooring, large picture window, and lighted ceiling fan. The kitchen provides a breakfast bar, gas range, and plenty of counter space and vintage cabinets to house all the latest kitchen gadgets. Kick your feet back and enjoy the evening in the spacious master suite with a wonderful bathroom attached to it. Bedrooms 2 and 3 are both very spacious, with ample closet space and sizeable windows. Get ready to get the Spring time rolling with BBQ&#x2019;s in the backyard! Don&#x2019;t wait to check this home out, because this gem will not last long! Courtesy of The SalasTeam, LTD. Looking for a home with original character? Well look no further! This 3 bed, 2 bath home is nestled in the heart of Killeen and located minutes from shopping centers and restaurants. Upon entry of the home, the living room boast beautiful laminate wood flooring, large picture window, and lighted ceiling fan. The kitchen provides a breakfast bar, gas range, and plenty of counter space and vintage cabinets to house all the latest kitchen gadgets. Kick your feet back and enjoy the evening in the spacious master suite with a wonderful bathroom attached to it. Bedrooms 2 and 3 are both very spacious, with ample closet space and sizeable windows. Get ready to get the Spring time rolling with BBQ’s in the backyard! Don’t wait to check this home out, because this gem will not last long! Please, send me more information on this property: MLS# 368444 – $79,900 – 1213 Ridgemont Drive, Killeen, TX 76549. I would like to schedule a showing appointment for this property: MLS# 368444 – $79,900 – 1213 Ridgemont Drive, Killeen, TX 76549.